Despite his long-standing and intense rivalry with Jon Jones, Daniel Cormier does have sympathy for “Bones” after the visibly dejected fighter proclaimed his innocence during a press conference (see it) to explain his side of his United States Anti-Doping Agency (USADA) violation. 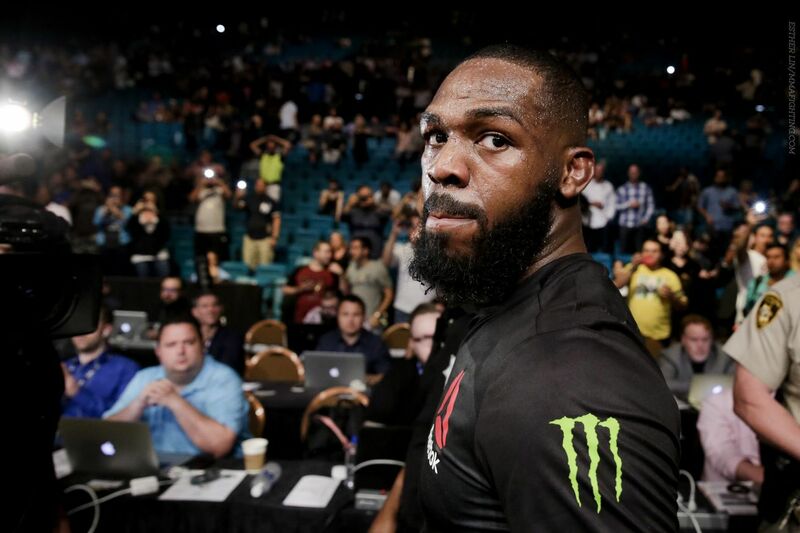 During the presser, Jones apologized to Cormier after he was pulled from their scheduled title fight, which was set to headline UFC 200 this past Saturday night (July 9, 2016) in Las Vegas, Nevada. During “DC’s” recent guest spot on “The MMA Hour,” he acknowledged seeing the conference, revealing that he did accepts his rival’s apology. And you still boo this man? Jones’ B-sample also came back positive, which didn’t help his case trying to clear his name for the time being. That said, what exactly he tested positive for has not been made public … at least not confirmed. For Cormier, he will hold off judgement until then, but says if “Bones” is found to have been using performance enhancing drugs (PEDs), then it will be clear that he tried to gain an edge against him. Now That It’s Over…Who Does Garbrandt Fight Next?